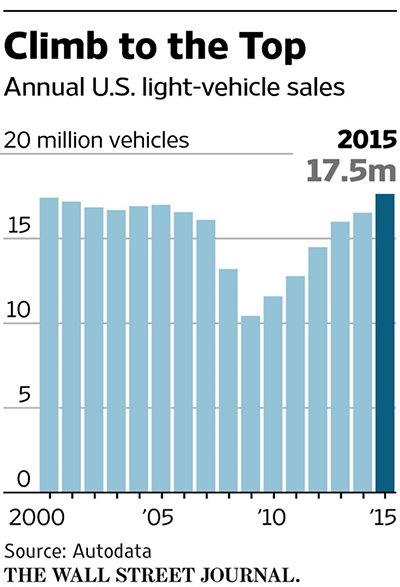 According to Reuter News, US car sales hit the record high in 2015 to exceed the previous high of 2000. The total unit sold in US was 17.5 million, 1 million unit over the 2014. Reasons for this increase were due to continued lower gasoline price, easy credit, increased lease, and expanding job market. 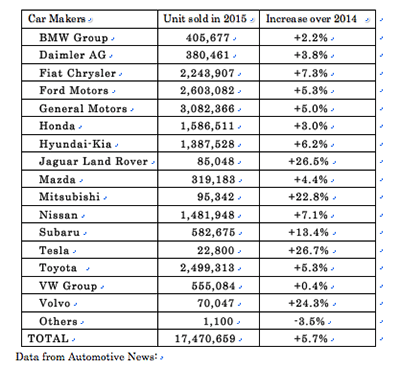 The only car maker which could not show the growth was Volks Wagen due to diesel engine emission scandal. The U.S. consumer trend is clear to choose SUV/Pick-Up Trucks (+18.5%) while declines in sales of Sedan/Midsize/Hatchbacks (-3.2%). For example Jeep posted +24.9%, Land Rover (+37.1%), or GMC (+11.3%). Another noteworthy phenomenon was more sales in expensive models, such as Lexus (+10.7%), Porsche (+10.1%), Infinity (+13.8%), Subaru (+13.4%), or so on. Now the question remains whether this trend will continue in the foreseeable futures. My answer is “Yes.” There are three reasons why I say so: Firstly crude oil price is further deteriorating from Dec. 2014 from $40 to $32, which is another 20% decline. Secondly, although Federal Reserve Bank raised its key interest rate by 0.25% in Dec after 7 years of zero interest rate, but still absolute interest rate level is 0.25%. Even they would increase three to four times this year, key interest rate remains less than 1.0 % or slightly higher than 1.0%. This interest rate level should still be considered as an “Easing Era.” Thirdly, the job market in US are still expanding without showing any signs of inflation. So, overall economic conditions will remain the same as 2015, which posted a record year. Then what are the risk for achieving another expansion? 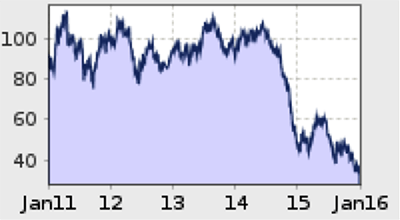 The risk is US stock market performance and emerging market economic growth. So called China shock occurred in August, 2015, the sharp economic growth decline which led to collapse in Shang Hai stock market, had badly affected global stock market. And the first week of January of this year experienced the similar plunge globally. Another risk is the geopolitical movement in Middle East. If both Saudi Arabia and Iran involves in a serious fight which trigger crude oil price high, that will be a risk for rosy scenario of another expansion in car sales in US in 2016. These are the things you need to think when you juggle your Concept Planning for car designing. Is the trend of more SUV/Pick-Up Truck/Crossover going to prevail globally? Car designing is a project to explore customer needs and preferences. So, you need to be smarter than your competitor in the job market, or colleagues. It is always better to update your knowledge over the consumer trend and economic conditions of your local and global market.